CARFAX 1-Owner, Dealer Certified, Excellent Condition, GREAT MILES 23,430! NAV, Heated Leather Seats, Sunroof, Alloy Wheels, Satellite Radio, Power Liftgate, Supercharged, Panoramic Roof, 4x4, VISION & CONVENIENCE PACKAGE, DRIVER ASSISTANCE PACK, EBONY MORZINE HEADLINING, RADIO: 825 WATT MERIDIAN PREMIUM SURR... FRONT CLIMATE COMFORT & VISIBILITY PA... EBONY/EBONY, FULL OXFORD PERFORATED L... EBONY/EBONY, FULL OXFORD PERFORATED LEATHER SEATING SURFACES AND MORE! KEY FEATURES INCLUDE Navigation, Sunroof, Panoramic Roof, 4x4, Power Liftgate, Supercharged, Satellite Radio, iPod/MP3 Input, Onboard Communications System, Aluminum Wheels, Keyless Start, Dual Zone A/C, Smart Device Integration. OPTION PACKAGES DRIVER ASSISTANCE PACK: head up display, traffic sign recognition, lane departure warning, perpendicular and parallel park w/park exit, 360 degree park distance control and InControl WiFi, FRONT CLIMATE COMFORT & VISIBILITY PACK: Blind Spot Monitor w/Closing Vehicle Sensing, reverse traffic detection, Heated Rear Seat, Adaptive Headlights w/High Beam Assist (AHBA), Heated & Cooled Front Bucket Seats, driver and passenger 16 way power climate seats, fore/aft, cushion height, cushion tilt, squab recline, 4 way electric lumbar, side bolster adjustment, seat map pockets, driver seat memory and front and rear 2 way tilt headrest, Heated Steering Wheel Rear Spoiler, MP3 Player, Privacy Glass, Remote Trunk Release, Keyless Entry. Non-Smoker vehicle. MORE ABOUT US Shop with confidence at Lyle Pearson's! Every pre-owned vehicle undergoes a comprehensive inspection in our service department before being offered for sale. A free Carfax report is offered on line and in the showroom, and our lowest price is clearly marked on every vehicle on the lot. Come see us on line or in person today! Pricing analysis performed on 4/23/2019. Horsepower calculations based on trim engine configuration. Please confirm the accuracy of the included equipment by calling us prior to purchase. Excellent Condition, Land Rover Certified, CARFAX 1-Owner, LOW MILES - 14,962! FUEL EFFICIENT 27 MPG Hwy/21 MPG City! R-Dynamic SE trim. Nav System, Moonroof, Heated Leather Seats, Back-Up Camera, Power Liftgate, Turbo Charged Engine, Panoramic Roof, 4x4, Aluminum Wheels, POWER ADJUSTABLE STEERING COLUMN, HEATED WINDSHIELD, HEATED STEERING WHEEL, HEATED & COOLED FRONT SEATS W/DRIVER MEMORY/HTD RR, HEATED & COOLED FRONT SEATS W/DRIVER.. BLACK ROOF RAILS SEE MORE! KEY FEATURES INCLUDE Leather Seats, Navigation, Sunroof, Panoramic Roof, 4x4, Power Liftgate, Back-Up Camera, Turbocharged, Premium Sound System, iPod/MP3 Input, Onboard Communications System, Aluminum Wheels, Remote Engine Start, Dual Zone A/C, Smart Device Integration Land Rover R-Dynamic SE with Fuji White exterior and Ebony w/Light Oyster interior features a 4 Cylinder Engine with 247 HP at 5500 RPM*. OPTION PACKAGES HEATED & COOLED FRONT SEATS W/DRIVER MEMORY/HTD RR, POWER ADJUSTABLE STEERING COLUMN, BLACK ROOF RAILS, HEATED WINDSHIELD, HEATED STEERING WHEEL. Rear Spoiler, MP3 Player, Remote Trunk Release, Keyless Entry, Privacy Glass. Serviced here, Non-Smoker vehicle, Originally bought here. PURCHASE WITH CONFIDENCE 5-year/100,000 Mile Limited Warranty, Complete 165-point inspection, 24/7 Roadside Assistance BUY FROM AN AWARD WINNING DEALER Shop with confidence at Lyle Pearson's! Every pre-owned vehicle undergoes a comprehensive inspection in our service department before being offered for sale. A free Carfax report is offered on line and in the showroom, and our lowest price is clearly marked on every vehicle on the lot. Come see us on line or in person today! Pricing analysis performed on 4/19/2019. Horsepower calculations based on trim engine configuration. Fuel economy calculations based on original manufacturer data for trim engine configuration. Please confirm the accuracy of the included equipment by calling us prior to purchase. Land Rover Certified, CARFAX 1-Owner, Excellent Condition, ONLY 29,305 Miles! FUEL EFFICIENT 26 MPG Hwy/20 MPG City! Navigation, Heated Leather Seats, Sunroof, 3rd Row Seat, EBONY/EBONY, GRAINED LEATHER SEAT TRI... Panoramic Roof, Turbo Charged, 4x4, YULONG WHITE METALLIC, INCONTROL WI-FI, EBONY MORZINE HEADLINER, DRIVER ASSIST PLUS PACKAGE, INCONTROL APPS, CLIMATE COMFORT PACKAGE, 3RD ROW PACKAGE, 19 BLACK DESIGN PACKAGE, VISION ASSIST PACKAGE SEE MORE! KEY FEATURES INCLUDE Sunroof, Panoramic Roof, 4x4, Power Liftgate, Turbocharged, iPod/MP3 Input, Onboard Communications System, Keyless Start, Dual Zone A/C OPTION PACKAGES VISION ASSIST PACKAGE: auto high beam assist (AHDA), Blind Spot Monitor w/Closing Vehicle Sensing, reverse traffic detection, Surround Camera System, Adaptive Xenon Headlamps w/LED Signature, 3RD ROW PACKAGE: 5+2 seating and 1 3rd row USB charging port, 3rd Row Ventilation, CLIMATE COMFORT PACKAGE: heated windscreen, Heated Leather Steering Wheel, Climate Front & Heated Rear Seats, 19 BLACK DESIGN PACKAGE: Wheels: 19 5 Split Spoke w/Gloss Black Finish Alloy style 521, Tires: 19, Gloss Black, front and rear badging, side mirrors and side vents, Santorini Black Contrast Roof, DRIVER ASSIST PLUS PACKAGE: autonomous emergency braking Rear Spoiler, Keyless Entry, Privacy Glass, Remote Trunk Release, Child Safety Locks. 5-year/100 WHO WE ARE Shop with confidence at Lyle Pearson's! Every pre-owned vehicle undergoes a comprehensive inspection in our service department before being offered for sale. A free Carfax report is offered on line and in the showroom, and our lowest price is clearly marked on every vehicle on the lot. Come see us on line or in person today! Pricing analysis performed on 4/17/2019. Horsepower calculations based on trim engine configuration. Fuel economy calculations based on original manufacturer data for trim engine configuration. Please confirm the accuracy of the included equipment by calling us prior to purchase. 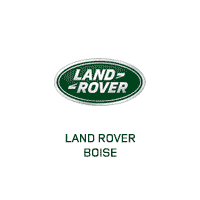 CARFAX 1-Owner, Land Rover Certified, GREAT MILES 38,048! EPA 26 MPG Hwy/20 MPG City! Navigation, Heated Leather Seats, Moonroof, Turbo Charged, Power Liftgate, Back-Up Camera, Panoramic Roof, 4x4, AUTOMATIC HIGH BEAM ASSIST (AHBA) (DI... ADAPTIVE XENON HEADLAMPS W/LED SIGNAT... DRIVER ASSIST PLUS PACKAGE, WHEELS: 20 5 SPLIT SPOKE ALLOY (STYL... FUJI WHITE, IVORY/EBONY, WINDSOR LEATHER SEAT TRI... CLIMATE COMFORT PACKAGE, SANTORINI BLACK CONTRAST ROOF CLICK ME! KEY FEATURES INCLUDE Navigation, Sunroof, Panoramic Roof, 4x4, Power Liftgate, Back-Up Camera, Turbocharged, Satellite Radio, iPod/MP3 Input, Onboard Communications System, Keyless Start, Dual Zone A/C, Smart Device Integration, WiFi Hotspot. OPTION PACKAGES CLIMATE COMFORT PACKAGE: heated windscreen, Heated Leather Steering Wheel, Climate Front & Heated Rear Seats, WHEELS: 20 5 SPLIT SPOKE ALLOY (STYLE 511): In sparkle silver, Tires: 20, DRIVER ASSIST PLUS PACKAGE: autonomous emergency braking, Traffic Sign Recognition, Lane Departure Warning, SANTORINI BLACK CONTRAST ROOF, ADAPTIVE XENON HEADLAMPS W/LED SIGNATURE, AUTOMATIC HIGH BEAM ASSIST (AHBA) (DISCONTINUED), IVORY/EBONY, WINDSOR LEATHER SEAT TRIM, FUJI WHITE. Rear Spoiler, MP3 Player, Remote Trunk Release, Keyless Entry, Privacy Glass. Serviced here, Non-Smoker vehicle, Originally bought here. CARFAX 1-Owner 5-year/100 BUY FROM AN AWARD WINNING DEALER Shop with confidence at Lyle Pearson's! Every pre-owned vehicle undergoes a comprehensive inspection in our service department before being offered for sale. A free Carfax report is offered on line and in the showroom, and our lowest price is clearly marked on every vehicle on the lot. Come see us on line or in person today! Pricing analysis performed on 4/15/2019. Horsepower calculations based on trim engine configuration. Fuel economy calculations based on original manufacturer data for trim engine configuration. Please confirm the accuracy of the included equipment by calling us prior to purchase. Land Rover Certified, CARFAX 1-Owner, LOW MILES - 24,380! HSE Silver Edition trim, Fuji White exterior and Almond w/Arabica interior. Sunroof, NAV, Heated Leather Seats, 3rd Row Seat, Running Boards, iPod/MP3 Input, Satellite Radio, Supercharged, 4x4, FUJI WHITE, CLIMATE COMFORT PACKAGE, SILVER EDITION VALUE PACKAGE, Alloy Wheels, ALMOND W/ARABICA, LEATHER SEAT TRIM, Non-Smoker vehicle. READ MORE! KEY FEATURES INCLUDE 4x4, Running Boards, Supercharged, Satellite Radio, iPod/MP3 Input, Bluetooth, Dual Moonroof, Aluminum Wheels, Dual Zone A/C OPTION PACKAGES SILVER EDITION VALUE PACKAGE: InControl Apps, in-car mobile technology to connect smartphone apps to vehicle's infotainment system, HSE Package, PowerFold Mirrors, HSE Exterior Badge, Parking Aid, front park distance control, Passive Keyless Entry, Third-Row Map Lights, Third-Row Side-Curtain Airbag SRS, Third-Row Fold-Flat Seating Forward facing, Rear Luggage Net, Rear Climate Control, 2nd-row A/C and heating controls regulating airflow to the 2nd- and 3rd-row seats, 2 vents at 2nd-row headliner, 2 vents at 3rd-row C-pillar and 1 outlet at 3rd-row lower level, Second-Row Fold-Flat Seating 35/30/35, HDD Navigation System w/Traffic Alert, on/off-road and Say What You See voice control, Xenon Headlamps w/LED Signature Lighting, Vision Assist Package, Tow Assist, Blind Spot Monitoring Privacy Glass, Steering Wheel Controls, Child Safety Locks, Heated Mirrors, Electronic Stability Control. OUR OFFERINGS Shop with confidence at Lyle Pearson's! Every pre-owned vehicle undergoes a comprehensive inspection in our service department before being offered for sale. A free Carfax report is offered on line and in the showroom, and our lowest price is clearly marked on every vehicle on the lot. Come see us on line or in person today! Pricing analysis performed on 4/15/2019. Horsepower calculations based on trim engine configuration. Please confirm the accuracy of the included equipment by calling us prior to purchase. CARFAX 1-Owner, Land Rover Certified, Excellent Condition, LOW MILES - 24,402! EPA 30 MPG Hwy/21 MPG City! Heated Leather Seats, Back-Up Camera, 4x4, Turbo, Premium Sound System, Remote Engine Start, Onboard Communications System, iPod/MP3 Input, WHEELS: 19 10-SPOKE ALLOY W/SPARKLE.. COLD CLIMATE CONVENIENCE PACKAGE, HD & SIRIUSXM SATELLITE RADIO, WI-FI PRE-WIRE, CIRRUS/CIRRUS, GRAINED LEATHER SEAT T... Alloy Wheels, FUJI WHITE CONTRAST ROOF & SPOILER CLICK ME! KEY FEATURES INCLUDE 4x4, Back-Up Camera, Turbocharged, Premium Sound System, iPod/MP3 Input, Onboard Communications System, Aluminum Wheels, Remote Engine Start, Dual Zone A/C, Smart Device Integration. OPTION PACKAGES WHEELS: 19 10-SPOKE ALLOY W/SPARKLE FINISH: Style 103, Tires: 19, COLD CLIMATE CONVENIENCE PACKAGE: Heated Steering Wheel, Heated Windshield, Heated Washer Jets, Heated Front & Rear Seats, HD & SIRIUSXM SATELLITE RADIO: 3 months trial, FUJI WHITE CONTRAST ROOF & SPOILER, WI-FI PRE-WIRE, CIRRUS/CIRRUS, GRAINED LEATHER SEAT TRIM, FUJI WHITE. Rear Spoiler, MP3 Player, Keyless Entry, Privacy Glass, Steering Wheel Controls. Non-Smoker vehicle. Fixed Panoramic Roof, Park Assist Pack, PURCHASE WITH CONFIDENCE CARFAX 1-Owner 5-year/100,000 Mile Limited Warranty, Complete 165-point inspection, 24/7 Roadside Assistance BUY FROM AN AWARD WINNING DEALER Shop with confidence at Lyle Pearson's! Every pre-owned vehicle undergoes a comprehensive inspection in our service department before being offered for sale. A free Carfax report is offered on line and in the showroom, and our lowest price is clearly marked on every vehicle on the lot. Come see us on line or in person today! Pricing analysis performed on 4/10/2019. Horsepower calculations based on trim engine configuration. Fuel economy calculations based on original manufacturer data for trim engine configuration. Please confirm the accuracy of the included equipment by calling us prior to purchase. Dealer Certified, Excellent Condition, CARFAX 1-Owner, GREAT MILES 30,205! EPA 26 MPG Hwy/20 MPG City! Heated Leather Seats, 3rd Row Seat, Sunroof, Turbo, ALMOND/EBONY, GRAINED LEATHER SEAT TR... Power Liftgate, Back-Up Camera, 4x4, Panoramic Roof, FIRENZE RED METALLIC, WHEELS: 19 5 SPLIT SPOKE ALLOY (STYL... AUTOMATIC HIGH BEAM ASSIST (AHBA) (DI... AUDIO UPGRADE PACKAGE, INCONTROL APPS, EBONY MORZINE HEADLINER, 3RD ROW PACKAGE, CLIMATE COMFORT PACKAGE CLICK NOW! KEY FEATURES INCLUDE Sunroof, Panoramic Roof, 4x4, Power Liftgate, Back-Up Camera, Turbocharged, iPod/MP3 Input, Onboard Communications System, Keyless Start, Dual Zone A/C. OPTION PACKAGES 3RD ROW PACKAGE: 5+2 seating and 1 3rd row USB charging port, 3rd Row Ventilation, CLIMATE COMFORT PACKAGE: heated windscreen, Heated Leather Steering Wheel, Climate Front & Heated Rear Seats, WHEELS: 19 5 SPLIT SPOKE ALLOY (STYLE 521): In sparkle silver, Tires: 19, FIRENZE RED METALLIC, AUDIO UPGRADE PACKAGE: Radio: 250W Audio System w/11 Speakers, subwoofers, SiriusXM Satellite & HD Radio, 3 month trial, INCONTROL APPS, SANTORINI BLACK CONTRAST ROOF, ADAPTIVE XENON HEADLAMPS W/LED SIGNATURE, EBONY MORZINE HEADLINER, AUTOMATIC HIGH BEAM ASSIST (AHBA) (DISCONTINUED), ALMOND/EBONY, GRAINED LEATHER SEAT TRIM. Rear Spoiler, Remote Trunk Release, Keyless Entry, Privacy Glass, Steering Wheel Controls. WHY BUY FROM US Shop with confidence at Lyle Pearson's! Every pre-owned vehicle undergoes a comprehensive inspection in our service department before being offered for sale. A free Carfax report is offered on line and in the showroom, and our lowest price is clearly marked on every vehicle on the lot. Come see us on line or in person today! Pricing analysis performed on 4/10/2019. Horsepower calculations based on trim engine configuration. Fuel economy calculations based on original manufacturer data for trim engine configuration. Please confirm the accuracy of the included equipment by calling us prior to purchase. Dealer Certified, CARFAX 1-Owner, Excellent Condition, GREAT MILES 31,498! HSE LUX trim. FUEL EFFICIENT 26 MPG Hwy/20 MPG City! Nav System, Moonroof, Heated Leather Seats, Third Row Seat, EBONY/EBONY, WINDSOR LEATHER SEAT TRI... 4x4, Turbo Charged Engine, Panoramic Roof, INCONTROL APPS, EBONY MORZINE HEADLINER, INCONTROL REMOTE & PROTECT, DRIVER ASSIST PLUS PACKAGE, 3RD ROW PACKAGE, INDUS SILVER METALLIC, 20 BLACK DESIGN PACKAGE, CLIMATE COMFORT PACKAGE. READ MORE! KEY FEATURES INCLUDE Navigation, Sunroof, Panoramic Roof, 4x4, Power Liftgate, Back-Up Camera, Turbocharged, Satellite Radio, iPod/MP3 Input, Keyless Start, Dual Zone A/C. OPTION PACKAGES 3RD ROW PACKAGE: 5+2 seating and 1 3rd row USB charging port, 3rd Row Ventilation, CLIMATE COMFORT PACKAGE: heated windscreen, Heated Leather Steering Wheel, Heated Front & Rear Seats, 20 BLACK DESIGN PACKAGE: Gloss Black, front and rear badging, side mirrors and side vents, Santorini Black Contrast Roof, Wheels: 20 5 Split Spoke w/Gloss Black Finish Style 511, Tires: 20, DRIVER ASSIST PLUS PACKAGE: autonomous emergency braking, Traffic Sign Recognition, Lane Departure Warning, INCONTROL REMOTE & PROTECT, INCONTROL APPS, EBONY MORZINE HEADLINER, EBONY/EBONY, WINDSOR LEATHER SEAT TRIM Rear Spoiler, MP3 Player, Keyless Entry, Remote Trunk Release, Privacy Glass. Non-Smoker vehicle. BUY FROM AN AWARD WINNING DEALER Shop with confidence at Lyle Pearson's! Every pre-owned vehicle undergoes a comprehensive inspection in our service department before being offered for sale. A free Carfax report is offered on line and in the showroom, and our lowest price is clearly marked on every vehicle on the lot. Come see us on line or in person today! Pricing analysis performed on 4/4/2019. Horsepower calculations based on trim engine configuration. Fuel economy calculations based on original manufacturer data for trim engine configuration. Please confirm the accuracy of the included equipment by calling us prior to purchase. PRICE DROP FROM $31,995, FUEL EFFICIENT 26 MPG Hwy/20 MPG City! Land Rover Certified, CARFAX 1-Owner, Superb Condition. HSE trim. Sunroof, Heated Leather Seats, NAV, Back-Up Camera, Power Liftgate, Turbo, Panoramic Roof, 4x4, CLIMATE COMFORT PACKAGE, WHEELS: 18 5 SPLIT SPOKE GLOSS BLACK... DRIVER ASSIST PLUS PACKAGE, WHEELS: 18 5 SPLIT SPOKE GLOSS BLACK (STYLE 511), EBONY/EBONY, GRAINED LEATHER SEAT TRI... SANTORINI BLACK METALLIC. READ MORE! KEY FEATURES INCLUDE Sunroof, Panoramic Roof, 4x4, Power Liftgate, Back-Up Camera, Turbocharged, iPod/MP3 Input, Onboard Communications System, Keyless Start, Dual Zone A/C, Smart Device Integration OPTION PACKAGES CLIMATE COMFORT PACKAGE: heated windscreen, Heated Leather Steering Wheel, Climate Front & Heated Rear Seats, DRIVER ASSIST PLUS PACKAGE: autonomous emergency braking, Traffic Sign Recognition, SD Card Navigation, Lane Departure Warning, SANTORINI BLACK METALLIC, EBONY/EBONY, GRAINED LEATHER SEAT TRIM, WHEELS: 18 5 SPLIT SPOKE GLOSS BLACK (STYLE 511). Rear Spoiler, MP3 Player, Privacy Glass, Remote Trunk Release, Keyless Entry. Serviced here, Non-Smoker vehicle, Originally bought here. Edmunds.com explains Like its close relative A GREAT TIME TO BUY Was $31,995. SHOP WITH CONFIDENCE 5-year/100,000 Mile Limited Warranty, Complete 165-point inspection, 24/7 Roadside Assistance WHO WE ARE Shop with confidence at Lyle Pearson's! Every pre-owned vehicle undergoes a comprehensive inspection in our service department before being offered for sale. A free Carfax report is offered on line and in the showroom, and our lowest price is clearly marked on every vehicle on the lot. Come see us on line or in person today! Pricing analysis performed on 4/23/2019. Horsepower calculations based on trim engine configuration. Fuel economy calculations based on original manufacturer data for trim engine configuration. Please confirm the accuracy of the included equipment by calling us prior to purchase. CARFAX 1-Owner, Excellent Condition, Land Rover Certified, LOW MILES - 24,129! WAS $43,995, FUEL EFFICIENT 30 MPG Hwy/21 MPG City! NAV, Heated Leather Seats, Sunroof, Turbo, Power Liftgate, Back-Up Camera, Panoramic Roof, 4x4, EBONY/EBONY, OXFORD LEATHER W/PERFORATED MID-SECTION SEAT TRIM, RADIO: 825 WATT MERIDIAN PREMIUM SURR... BLACK DESIGN PACKAGE, DRIVER ASSISTANCE PLUS PACKAGE, HD & SIRIUSXM SATELLITE RADIO, SANTORINI BLACK METALLIC, LUXURY SEATING PACKAGE CLICK NOW! KEY FEATURES INCLUDE Navigation, Sunroof, Panoramic Roof, 4x4, Power Liftgate, Back-Up Camera, Turbocharged, iPod/MP3 Input, Onboard Communications System, Remote Engine Start, Dual Zone A/C, Cross-Traffic Alert, Hands-Free Liftgate, Smart Device Integration, Blind Spot Monitor OPTION PACKAGES BLACK DESIGN PACKAGE: Rear Aero Flip Spoiler, Fog Lamp & Headlamps w/Smoked Finish, clear finish tail lamps, Narvik Black Front/Rear Bumper Guard, hood/tailgate Range Rover lettering, Wheels: 20 5-Split Spoke Alloy Style 508, Satin Black Finish, Tires: 20, DRIVER ASSISTANCE PLUS PACKAGE: head up display, Adaptive Cruise Control w/Forward Alert, queue assist and high speed intelligent emergency braking, Adaptive LED Headlights w/LED Signature, automatic leveling and cornering lights MP3 Player, Keyless Entry, Privacy Glass, Remote Trunk Release, Child Safety Locks. Serviced here, Non-Smoker vehicle 5-year/100 VISIT US TODAY Shop with confidence at Lyle Pearson's! Every pre-owned vehicle undergoes a comprehensive inspection in our service department before being offered for sale. A free Carfax report is offered on line and in the showroom, and our lowest price is clearly marked on every vehicle on the lot. Come see us on line or in person today! Pricing analysis performed on 4/23/2019. Horsepower calculations based on trim engine configuration. Fuel economy calculations based on original manufacturer data for trim engine configuration. Please confirm the accuracy of the included equipment by calling us prior to purchase. Fuji White exterior and Ebony w/Light Oyster interior, R-Dynamic SE trim. Excellent Condition, Land Rover Certified, LOW MILES - 14,317! WAS $59,995, FUEL EFFICIENT 27 MPG Hwy/21 MPG City! Leather Interior, Navigation, Moonroof, Power Liftgate, Panoramic Roof, Premium Sound System, Back-Up Camera, Aluminum Wheels, DRIVE PRO PACKAGE, 4x4, Turbo Charged, Serviced here, Non-Smoker vehicle, Originally bought here. CLICK NOW! KEY FEATURES INCLUDE Leather Seats, Navigation, Sunroof, Panoramic Roof, 4x4, Power Liftgate, Back-Up Camera, Turbocharged, Premium Sound System, iPod/MP3 Input, Onboard Communications System, Aluminum Wheels, Remote Engine Start, Dual Zone A/C, WiFi Hotspot Land Rover R-Dynamic SE with Fuji White exterior and Ebony w/Light Oyster interior features a 4 Cylinder Engine with 247 HP at 5500 RPM*. OPTION PACKAGES DRIVE PRO PACKAGE: Adaptive Cruise Control, queue assist and intelligent emergency braking, Blind Spot Assist, Lane Keep Assist. Rear Spoiler, MP3 Player, Keyless Entry, Remote Trunk Release, Privacy Glass. Serviced here, Non-Smoker vehicle, Originally bought here. EXPERTS RAVE Its beautiful exterior is bolstered by the elegant, tech-friendly interior A GREAT TIME TO BUY Reduced from $59,995. PURCHASE WITH CONFIDENCE 5-year/100,000 Mile Limited Warranty, Complete 165-point inspection, 24/7 Roadside Assistance MORE ABOUT US Shop with confidence at Lyle Pearson's! Every pre-owned vehicle undergoes a comprehensive inspection in our service department before being offered for sale. A free Carfax report is offered on line and in the showroom, and our lowest price is clearly marked on every vehicle on the lot. Come see us on line or in person today! Pricing analysis performed on 4/22/2019. Horsepower calculations based on trim engine configuration. Fuel economy calculations based on original manufacturer data for trim engine configuration. Please confirm the accuracy of the included equipment by calling us prior to purchase. Firenze Red metallic with ebony interior. Well equipped including navigation system, back up camera and park distance sensors, Bluetooth and media interface, heated leather seats, heated steering wheel. PRICED TO MOVE $1,200 below Kelley Blue Book! and electrically heated windshield glass, Meridian premium audio system, power remote opening tailgate, smart key, and more. Like new 1-owner lease return! GREAT MILES 36,291! CLICK NOW! Non-Smoker vehicle. SE trim. AND MORE! Given a complete inspection in our shop, serviced, and detailed. Offered for sale with the added value and confidence of the included factory extended warranty exclusive to Approved Certified Land Rover vehicles. Call, or come by for a demonstration today! OPTION PACKAGES COLD CLIMATE CONVENIENCE PACKAGE: Heated Steering Wheel, Heated Windshield, Heated Washer Jets, Heated Front & Rear Seats, FIRENZE RED METALLIC, HD & SIRIUSXM SATELLITE RADIO: 3 months trial, SANTORINI BLACK CONTRAST ROOF & SPOILER, EBONY/EBONY, GRAINED LEATHER SEAT TRIM. Rear Spoiler, MP3 Player, Keyless Entry, Privacy Glass, Steering Wheel Controls. Non-Smoker vehicle. AFFORDABLE Was $35,995. This Range Rover Evoque is priced $1,200 below Kelley Blue Book. BUY WITH CONFIDENCE CARFAX 1-Owner 5-year/100,000 Mile Limited Warranty, Complete 165-point inspection, 24/7 Roadside Assistance WHY BUY FROM US Shop with confidence at Lyle Pearson's! Every pre-owned vehicle undergoes a comprehensive inspection in our service department before being offered for sale. A free Carfax report is offered on line and in the showroom, and our lowest price is clearly marked on every vehicle on the lot. Come see us on line or in person today! Pricing analysis performed on 4/1/2019. Horsepower calculations based on trim engine configuration. Fuel economy calculations based on original manufacturer data for trim engine configuration. Please confirm the accuracy of the included equipment by calling us prior to purchase. Jaguar Certified, CARFAX 1-Owner, Excellent Condition, LOW MILES - 16,091! WAS $54,995. Heated Leather Seats, NAV, Premium Sound System, Supercharged, JET/REDZONE STITCH, PREMIUM SOFT GRAIN LEATHER SEATING SURFACES, Keyless Start, Dual Zone A/C, iPod/MP3 Input, Bluetooth, BLACK PACK 3, WHEELS: 20 BLADE TWIN 5-SPOKE ALLOY, STRATUS GRAY METALLIC, HD RADIO & SIRIUS SATELLITE RADIO, BLACK TOP, JET/REDZONE STITCH, PREMIUM SOFT GRAI... EXTENDED LEATHER PACK READ MORE! KEY FEATURES INCLUDE Navigation, Supercharged, Premium Sound System, iPod/MP3 Input, Bluetooth, Keyless Start, Dual Zone A/C. OPTION PACKAGES PERFORMANCE PACK V8 S: Metallic Foot Pedals, Sport Floor Mats, Configurable Dynamic Mode, Red Brake Calipers, Switchable Active Exhaust, Interior Black Pack, Black Hex Aluminum Center Console Trim, black trim on steering wheel, instrument cluster and doors, Flat-Bottomed Steering Wheel, 14-Way Performance-Style Front Seats, power adjustable, driver and passenger, 2-way power fore/aft, 2-way power height rise, 2-way power cushion tilt, 2-way power seat back recline, 4-way power lumbar and 2-way power side bolsters, WHEELS: 20 BLADE TWIN 5-SPOKE ALLOY: Forged w/carbon fiber trim, EXTENDED LEATHER PACK: dashboard, door panels, center console, windshield pillars, header rail Rear Spoiler, MP3 Player, Keyless Entry, Steering Wheel Controls, Rollover Protection System. Non-Smoker vehicle. AFFORDABLE TO OWN Reduced from $54,995. MORE ABOUT US Shop with confidence at Lyle Pearson's! Every pre-owned vehicle undergoes a comprehensive inspection in our service department before being offered for sale. A free Carfax report is offered on line and in the showroom, and our lowest price is clearly marked on every vehicle on the lot. Come see us on line or in person today! Pricing analysis performed on 4/16/2019. Horsepower calculations based on trim engine configuration. Please confirm the accuracy of the included equipment by calling us prior to purchase. JUST REPRICED FROM $32,995, PRICED TO MOVE $3,200 below Kelley Blue Book!, EPA 28 MPG Hwy/20 MPG City! Excellent Condition, Jaguar Certified, CARFAX 1-Owner, LOW MILES - 20,763! Navigation, Moonroof, Heated Seats, Back-Up Camera, Premium Sound System, Keyless Start, Onboard Communications System, iPod/MP3 Input, All Wheel Drive, INCONTROL TOUCH NAVIGATION SYSTEM, SIRIUS SATELLITE RADIO, ULTIMATE BLACK METALLIC, Aluminum Wheels, COLD WEATHER PACKAGE. AND MORE! KEY FEATURES INCLUDE Sunroof, All Wheel Drive, Back-Up Camera, Premium Sound System, iPod/MP3 Input, Onboard Communications System, Aluminum Wheels, Keyless Start, Dual Zone A/C, Brake Actuated Limited Slip Differential, Smart Device Integration OPTION PACKAGES VISION PACKAGE: Blind Spot Monitor w/Closing Vehicle Sensing, reverse traffic detection, Front & Rear Parking Aids, LED Headlamps w/Signature Daytime Running Lights, adaptive front lighting w/intelligent high beam, COLD WEATHER PACKAGE: Heated Steering Wheel, Jaguar Sequential Shift paddles and remote controls for audio, cruise control and Bluetooth wireless technology, Heated Front & Rear Seats, Heated Front Windshield, heated washer jets, ULTIMATE BLACK METALLIC, INCONTROL TOUCH NAVIGATION SYSTEM: SD card-based mapping and Jaguar InControl MP3 Player, Remote Trunk Release, Keyless Entry, Child Safety Locks, Electronic Stability Control. OUR OFFERINGS Shop with confidence at Lyle Pearson's! Every pre-owned vehicle undergoes a comprehensive inspection in our service department before being offered for sale. A free Carfax report is offered on line and in the showroom, and our lowest price is clearly marked on every vehicle on the lot. Come see us on line or in person today! Pricing analysis performed on 4/16/2019. Horsepower calculations based on trim engine configuration. Fuel economy calculations based on original manufacturer data for trim engine configuration. Please confirm the accuracy of the included equipment by calling us prior to purchase. New vehicle pricing includes all offers and incentives. Tax, Title and Tags not included in vehicle prices shown and must be paid by the purchaser. While great effort is made to ensure the accuracy of the information on this site, errors do occur so please verify information with a customer service rep. This is easily done by calling us at 208-377-3900 or by visiting us at the dealership.